Uhh I could be forgetting what a bolt looks like but I see BOTH lugs still there.. I see some chewing near the cam lug, but the cam lug is not a pressure containing area.. But the pictures would be nicer if they rotated the bolt around from the same perspective. 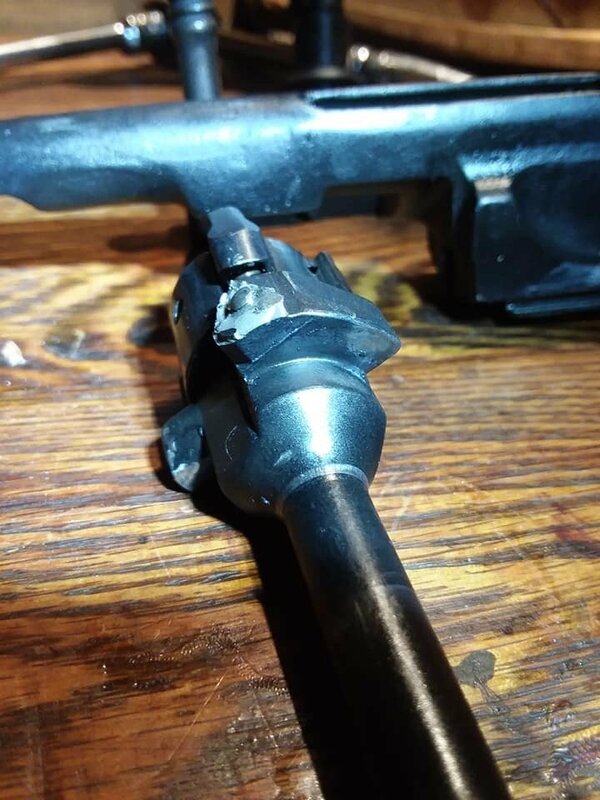 My theory is either trunnion failure, case head failure (ammo), or OOB, which would require the bolt carrier was made wrong or was modified to allow the hammer to strike the firing pin without being closed..
Could still be that the gun is total trash, but bolt lug failure does not seem to be the problem. Yeah, I was wondering about the lugs too because even if one broke there should be one left. Was also wondering about how it could have an out of battery discharge. Don’t have a TriStar to look at. Maybe Salty can look at his. 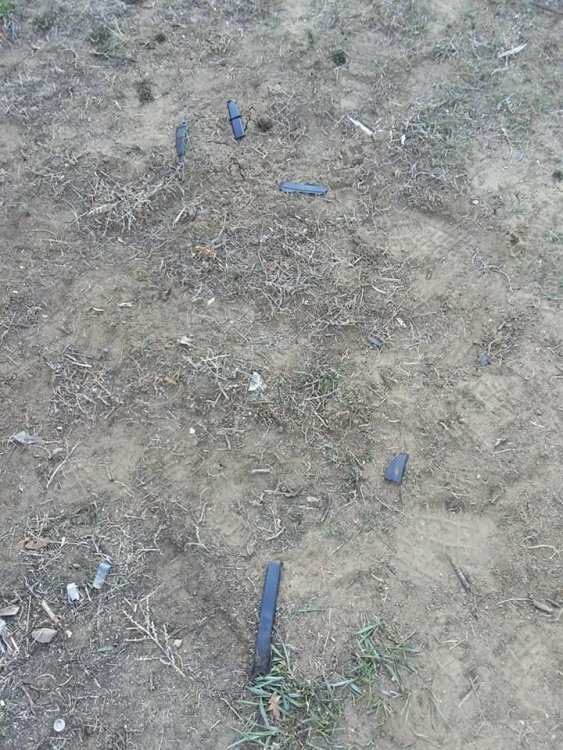 Hopefully more info will come out on what really happened here. 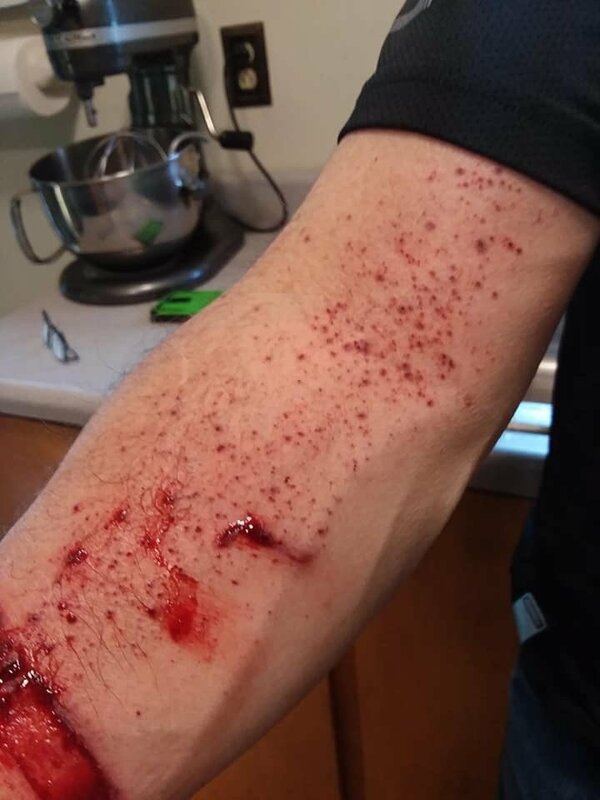 Damn, that's bad enough as is, thankfully not more serious. Watching this to see if more info becomes available. 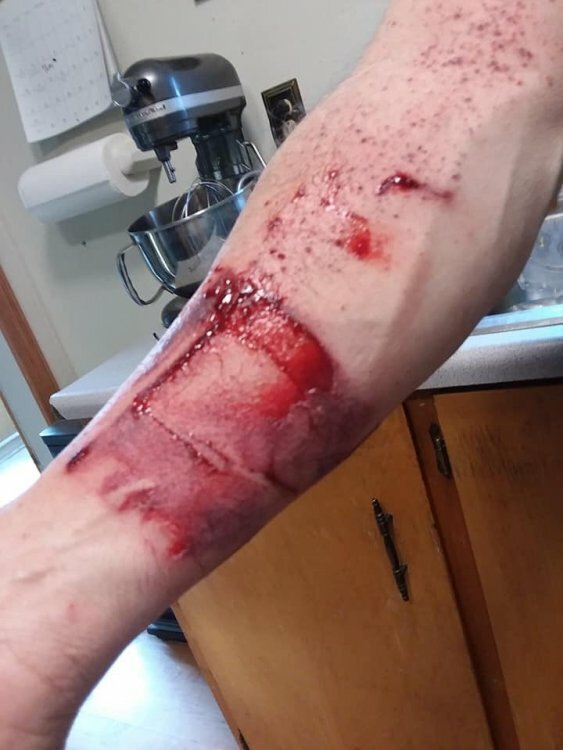 i am glad the guy is "alright".... my SN was below 400, maybe there wont be alot of these floating around to hurt folks. could this have been barrel obstruction or " user error" ? has anything like this happened before on the russian guns? Hard to blame heat treatment when there are no visible broken parts other than what is normal with a kaboom. 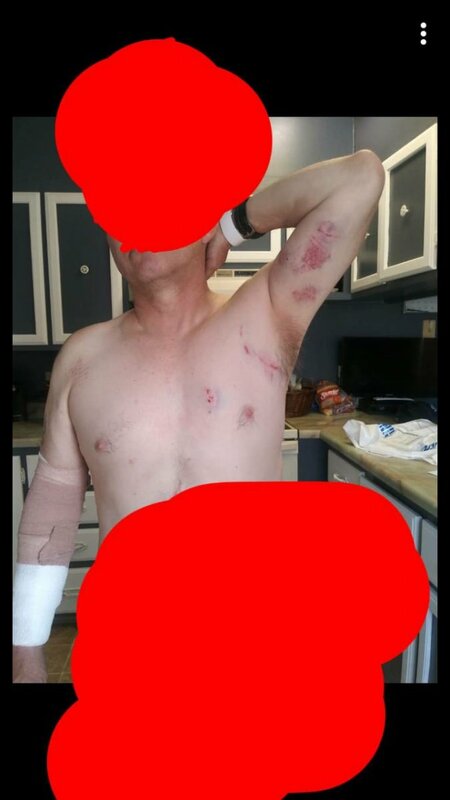 None of the pressure parts are broken that I can see in any of the photos. 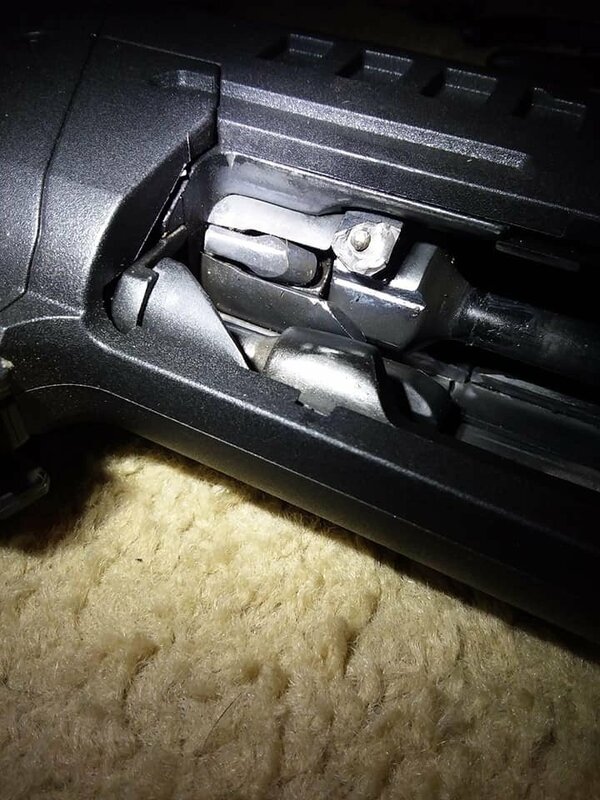 I screwed around with my saiga and I could almost get the bolt into the carrier in a way that would fire out of battery, I did not want to damage my shotgun so I stopped without forcing the parts together.. 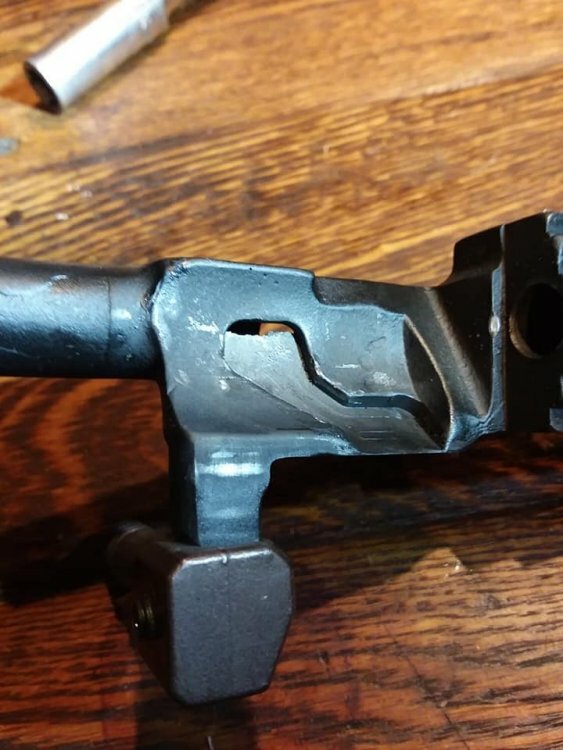 So it's "possible" that this is user error.. Also possible that a chain reaction of gun issues and incorrect modification could have also resulted in this issue.. To me this looks mostly like a OOB firing than a critical part failure... 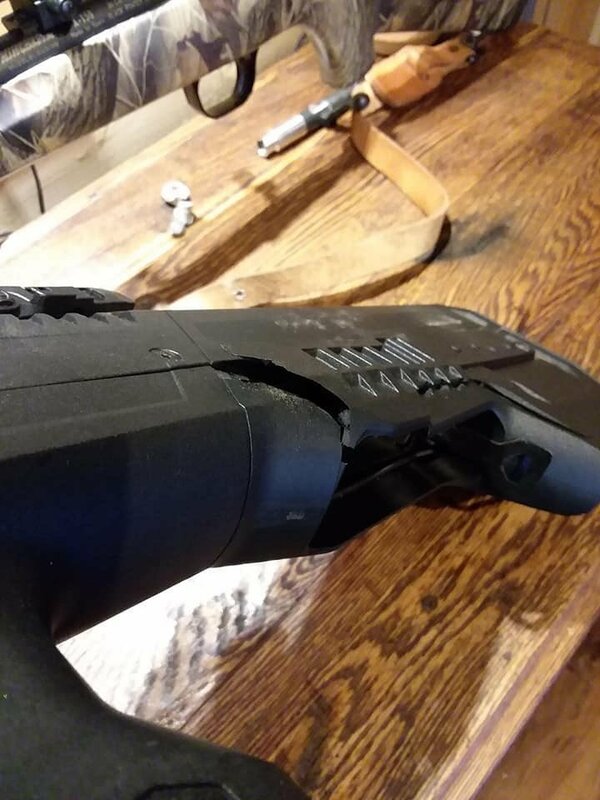 The other option is case head separation which is pretty much non existent in shotguns. One thing that strikes me is that the bolt is not in the carrier when installed into the gun. And the damage to the cam lug seems inconsistent to what would happen if the bolt was correctly installed in the carrier.. Which leans more toward user error. You have to work pretty hard to get it in wrong, but I'm pretty sure it can be done. With the bolt installed wrong it is possible for the firing pin to be struck without the bolt even close to being locked. A couple photos of the Trunnion would be really nice, and the back of the bolt carrier. Because that could be the issue. 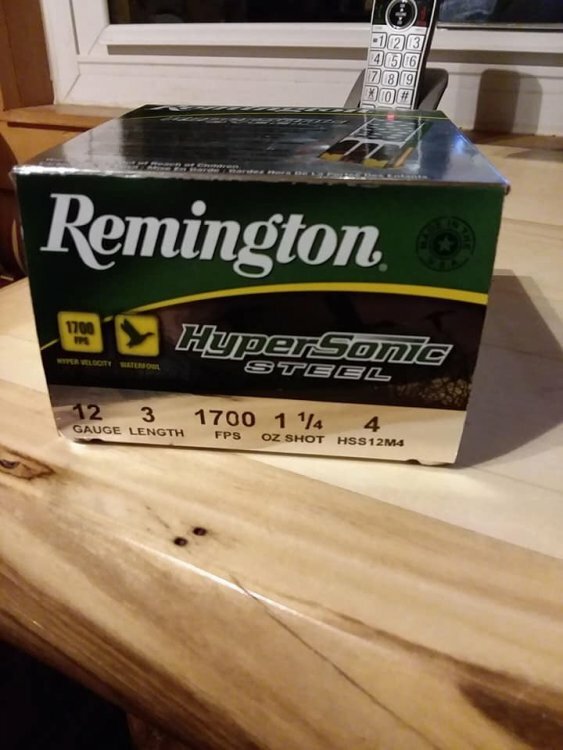 I asked them if the gun had been modified and they said it was new in the box gun. I asked them if they were sure it wasn’t the trunnion and they didn’t know what part I was talking about. I clarified but haven’t heard back. Salty, does the cover come off easily or do you have to remove the shell to disassembly it? I saw it has an adjustable gas plug under the shell. Do you have to remove the shell to adjust it? Did yours have a hole through the lug channel on the bolt carrier?